Low cost, effective protection from the sun, low temperatures, birds, insects and other annoying, unwanted pests and rodents! 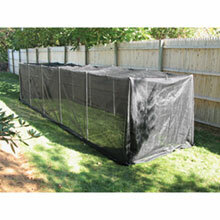 Ideal for Shade Cloth, Insect Screen, Reflective Screen, Anti-Bird Netting, Frost Blankets & more! • Fast and easy to use. Suitable for permanent or temporary use. 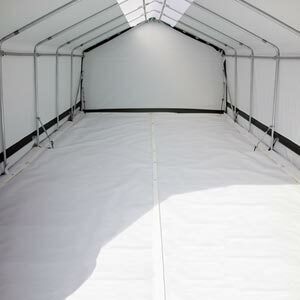 • Can be moved from field to field or row to row, or disassembled and stored as your needs change. • Frame can be covered with your material of choice. 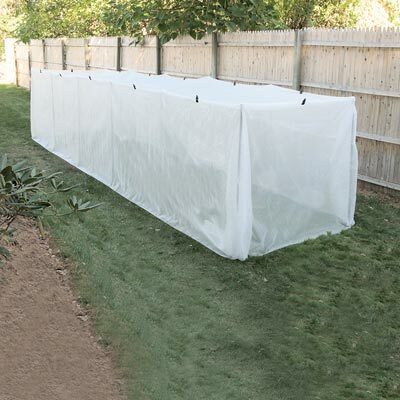 We recommend our PolyMax® SunBlocker Knitted Shade Material, Svensson FLS Reflective Shade, PolyMax® All-Purpose Greenhouse Fabrics, DuraMesh Anti-Bird Netting, or our Spun Bond Insulate Frost Blanket. All sold separately. Our knowledgeable sales associates will be happy to assist you, ensuring you have the perfect covering for your application. • Simply choose your desired length post. 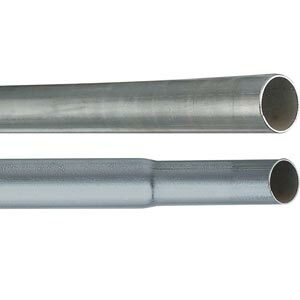 We offer our 19 gauge, 1.05"OD galvanized posts in 6', 8' and 10' lengths. The number needed is determined by the size of your shade frame. 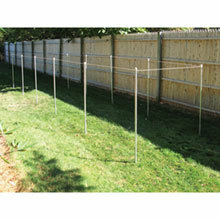 Use our 2' ground posts and post driver for fast and easy installation. Insert ground post 2' into the ground. Place post inside it. For use as a permanent structure, bolt to post. 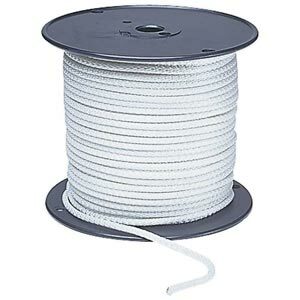 • Next, take our high strength, UV and abrasion resistant #4 1/8" polyester cord and wrap around each post, from post to post. 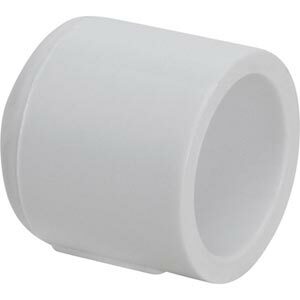 • Finish off each post with our 3/4" Schedule 40 PVC End Caps. 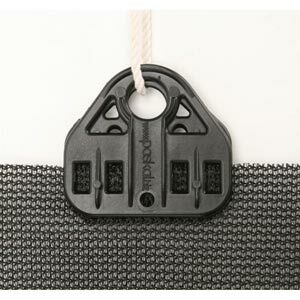 • Secure your fabric covering of choice with our versatile fabric clips. Constructed from glass-filled nylon, these amazing clips hold all materials up to 1/4" thick. Easy to use slide-locking, serrated jaw grabs and holds the fabric, yet is puncture and tear safe. 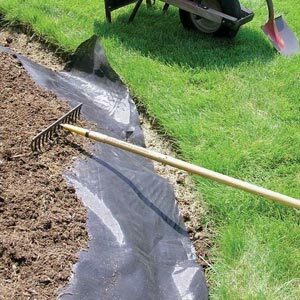 • Fasten covering to ground with our Fabric Securing Staples. 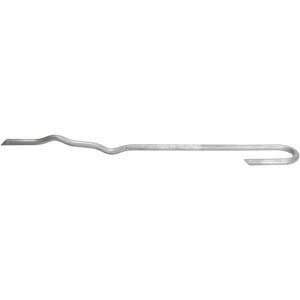 These staples are made from 11 gauge steel wire, are 6" long with a 1" wide crown and can be purchased individually or in packaged boxes of 1,000.